Interested in minimizing or avoiding risk in your practice? Need confirmation you’re headed in the right direction? These no obligation assessments will point you in the right direction. All it takes is a few minutes to identify where compliance gaps and/or risk exist in your practice. 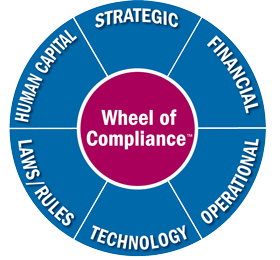 The assessments below focus on three risk domains from the Wheel of Compliance™: Financial, Legal/Regulatory and Human Capital/Employment Law.